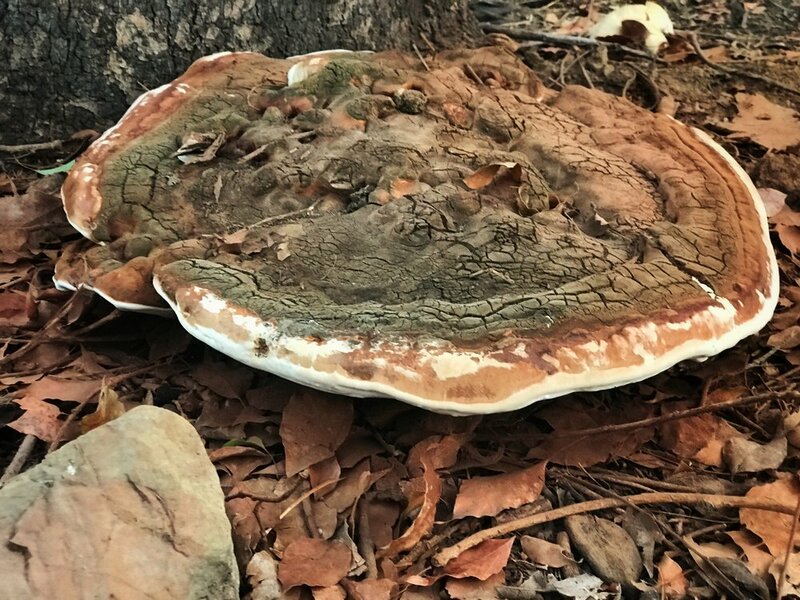 I was on a run this evening in my semi-urban neighborhood when I came across this mushroom the size of a garbage can lid. Iâ€™m not sure I would call it a mushroom ðŸ�„. It was too big. I would be amazed by a fungal growth that large if I had stumbled across it in a forest. But to see it growing on a street corner, a few steps away from a busy intersection, was fantastic and bizarre. Iâ€™ll let you know if it starts swallowing pets and local bystanders. P.S. Emergency Joke: The mushroom cap was so big, it was a full fledge fedora!